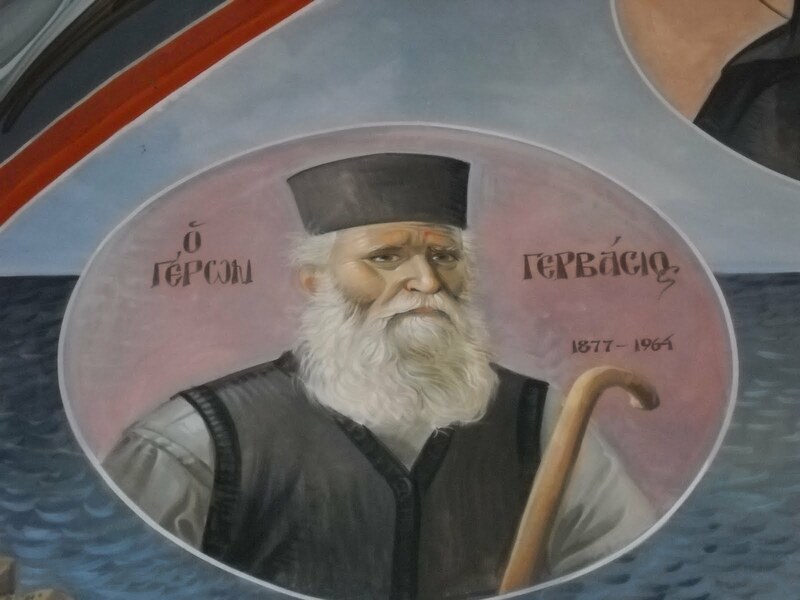 St. Nektarios and his spiritual children. May he intercede for us! 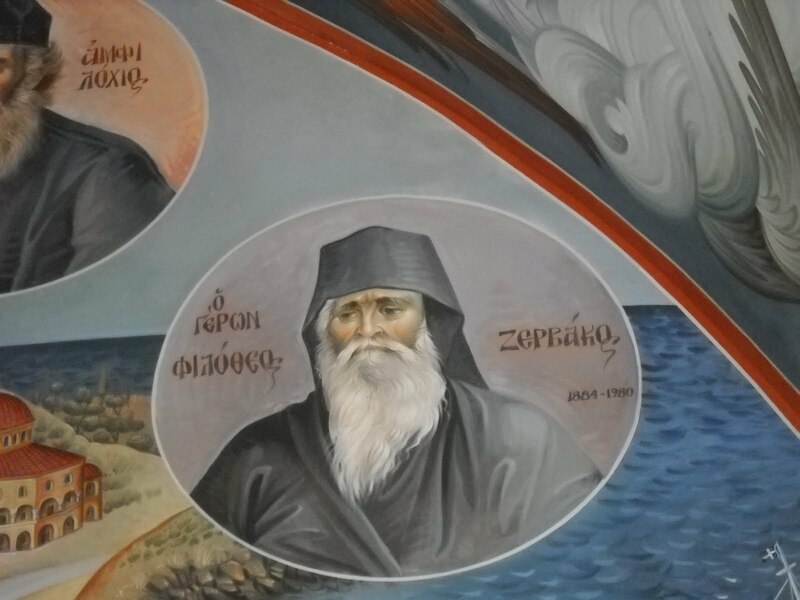 From right to left: Blessed Xenia, the blind, first abbess of St. Nektarios’ monastery in Aegina; Saint Savvas the New of Kalymnos; St. Amphilochios Makris of Patmos; Konstandinos Sakkopoulos, a little city hermit and St. Nektarios’ ‘right hand’; Elder Daniel Katounakiotis; Elder Philotheos Zervakos; Elder Gervasios Paraskevopoulos. 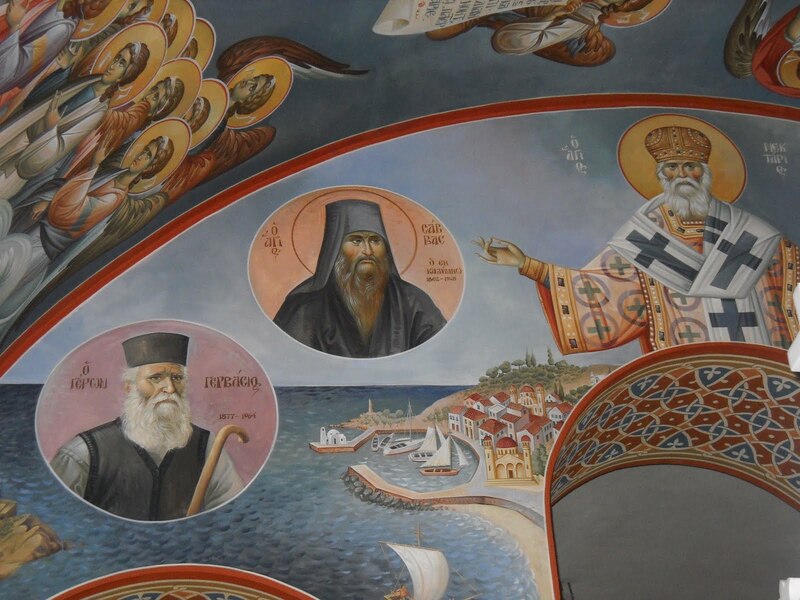 Saint Nektarios in the center extending his blessing over the island of Aegina. 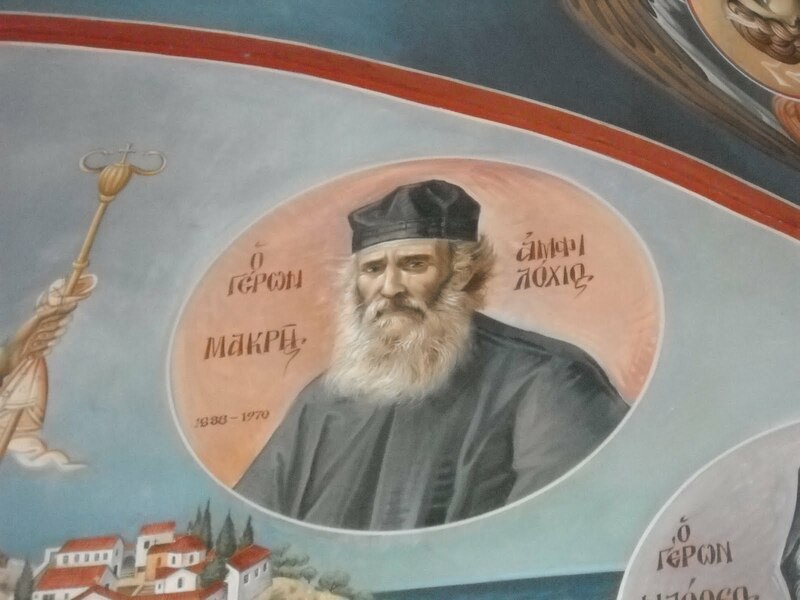 From top to bottom: Blessed Xenia, the blind, first abbess of St. Nektarios’ monastery in Aegina; Saint Savvas the New of Kalymnos; St. Amphilochios Makris of Patmos; Konstandinos Sakkopoulos, a little city hermit and St. Nektarios’ ‘right hand’; Elder Daniel Katounakiotis; Elder Philotheos Zervakos; Elder Gervasios Paraskevopoulos. + May they all intercede for us! 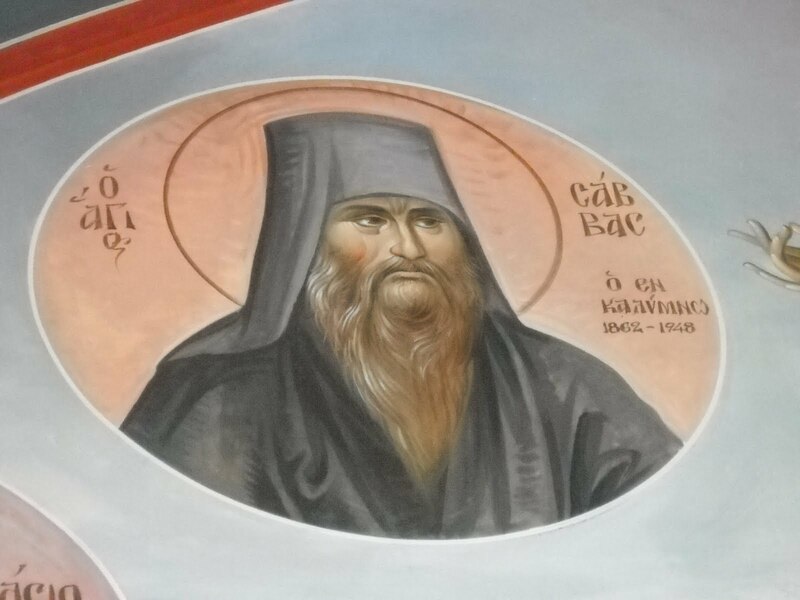 This entry was posted in 20th century Saints, Elder Philotheos Zervakos, Saint Amphilochios Makris, Saint Nektarios and tagged Blessed Xenia, Elder Daniel Katounakiotis, Elder Gervasios Paraskevopoulos, Elder Philotheos Zervakos, first abbess of St. Nektarios' monastery in Aegina.